The Memorial House of Toshe Proeski was built to commemorate his life's work and his contribution not just to the music industry but also to charity and non-profit organisations that fight poverty, child suffering and famine. He was a regional ambassador to the UN's programme for children UNICEF, for which he devoted a song called This World. 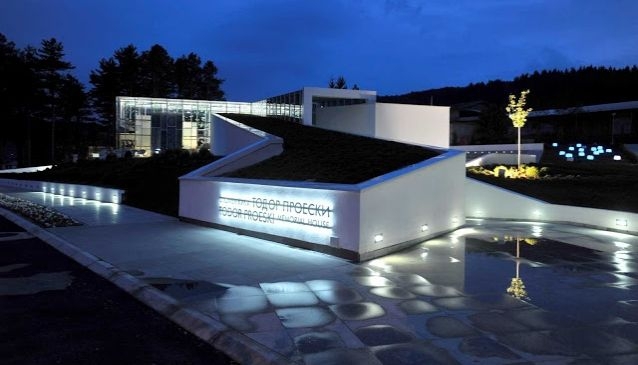 'Located on the Gumenje settlement in Krushevo, Memorial House Todor Proeski is build in memory of late Macedonian singer who died in car crush 4 years ago. His name means nothing to most of the Europe, but international media reported the sudden death of the 26 year-old pop star which plunged the Balkans into mourning. The news of his death was greeted in the region with the kind of grief that followed the deaths of Elvis Presley and John Lennon.